Not that long ago Marsha Aizumi was just another working JA mom living in Arcadia and raising two adopted children. She managed to stay close to her kids by bringing them to work at her family’s insurance business while her husband ran his own hair salon down the hall. There was plenty to keep her busy, and I doubt she ever imagined becoming a writer or motivational speaker. Her dream in life was to be a mom. All that was to change with the publication of her book, “Two Spirits, One Heart,” in 2012. What began as a very private battle with her transgender son’s transition in 2009 from daughter Ashley to son Aiden became a public cause celèbre in the Asian American community. 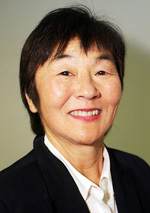 Currently retired, she is now a full-time advocate who serves on the national board of Parents for Lesbian and Gays (PFLAG), founded a local Asian Pacific Islander PFLAG San Gabriel chapter, and is currently involved with the National Queer Asian Pacific Islander Alliance (NQAPIA), training Asian American parents to become part of a national speaker’s bureau on the issues of sexual orientation and gender identity. 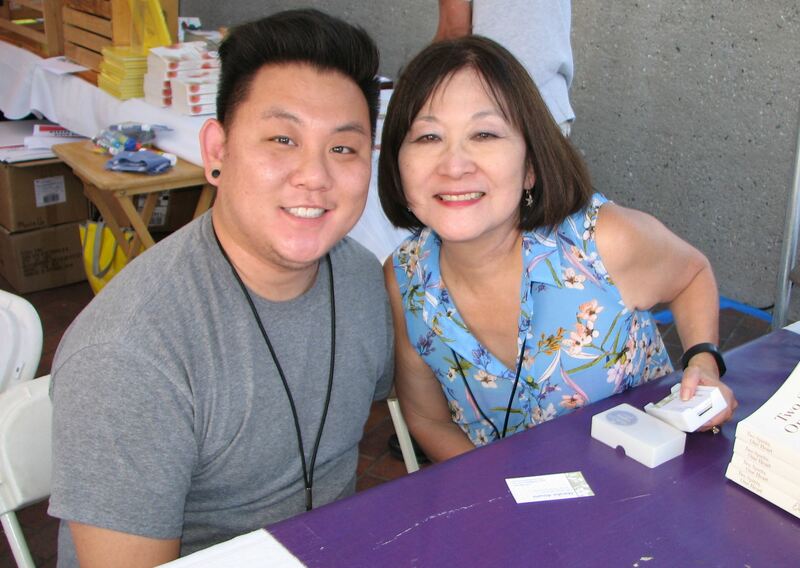 Closer to home, Marsha helped start the Los Angeles event Okaeri, a Nikkei LGBTQ Gathering, in 2014, an event that attracted more than 200 attendees. This year marks its second time around on Oct. 14-15, again at the Japanese American National Museum. Even though the last gathering brought together people of all generations, she is hoping this year will see an increased number of a missing demographic—men over 40. Speaking out about the once taboo subject of what it means to be lesbian, gay or transgender, as one can imagine, came slowly to a mother like Marsha and to the Nikkei community as a whole. For a group used to dealing with issues like shame, saving face, and secrecy, it has been an uphill battle for Marsha to speak out. Marsha finds the benefits of sharing her personal story extend far beyond her son. She cites a case when she befriended an Asian boy identifying as female who shared the problems of communicating with a mother who didn’t understand what he was going through. Marsha explained to the youth that she and Aiden initially had the same issues because she was struggling to get a handle on her feelings of fear and sadness. Something must have clicked because the next time they met, he brought his mother along. Marsha recognized immediately they had both blossomed in a relationship with which she could identify: it was a mother’s undeniable love and pride in her child. Despite the fact that Marsha’s journey has gone all the way from Arcadia to China, and even to the White House, much work remains to be done. Marriage equality laws have resulted in strides for gays and lesbians, but the transgender community still faces a long fight ahead. The recent North Carolina law regarding transgender bathroom restrictions, despite federal warnings, is a dangerous precedent. Marsha’s answer to the turmoil is to live in hope and do whatever she can to make a difference, which includes speaking at a North Carolina college this November. Her leadership role as educator and advocate keeps her incredibly busy, but I happened to catch her on one of her few rest days — having just returned from Chicago to launch a family acceptance campaign on behalf of NQAPIA. As she spoke with her dog lying beside her in bed, I could hear the exhaustion in her voice. Leading the fight on behalf of LGBTQ rights in the Asian community and for the well-being of her son and all transgender children can take its toll. However, Marsha is strong in her resolve. As she quotes Anais Nin in her book, “And the day came when the risk it took to remain tight inside the bud was more painful than the risk it took to blossom.” Marsha Aizumi has not only blossomed, she is helping others to bloom as well. For anyone in need of help, she can be reached at marshaaizumi.com. Sharon Yamato writes from Playa del Rey and can be contacted at [email protected] Opinions expressed are not necessarily those of The Rafu Shimpo.